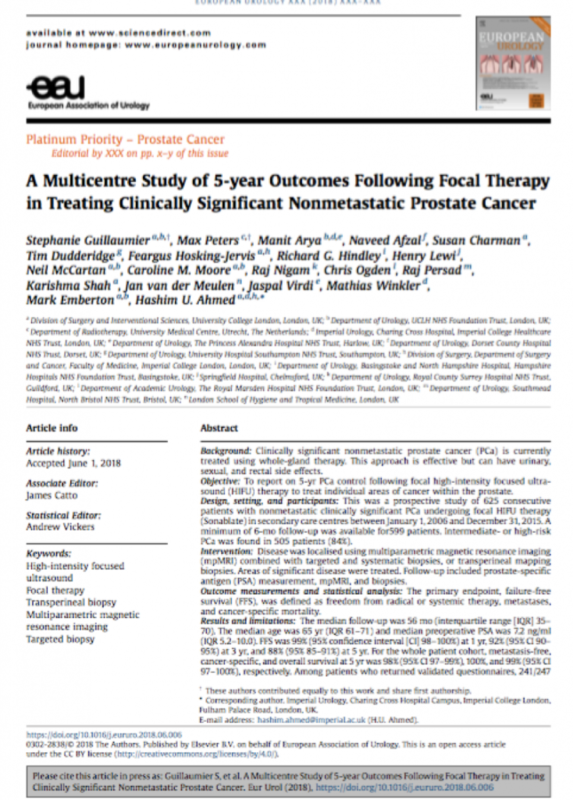 A paper was published from a study in the UK on 625 men with prostate cancer treated with Focal HIFU in the prestigious journal European Urology, reporting outstanding five-year results in terms of disease control and side effect profile. Download and read the full article by clicking below. or visiting the link above.